Adventist Mission | Angels Are Real! 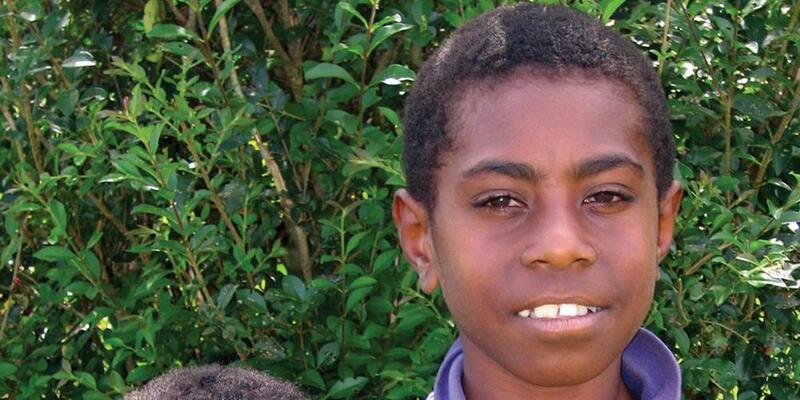 The South Pacific Division has about 425,000 Seventh-day Adventists. That’s one Adventist for every 90 people. But more than half of those Adventists live in Papua New Guinea, where one person out of every 31 is an Adventist. Even so, hundreds of small villages hidden in the mountains and thousands of people walking the streets of the larger cities still don’t know that Jesus loves them, that He died for them. Thousands still worship gods of wood or stone or gods they can’t see but fear. Watch the free Mission Spotlight DVD from the Office of Adventist Mission for great stories from Papua New Guinea this quarter. Go to www.adventistmission.org/dvd to download your free copy. Israel and Laurie are brothers. They live with their parents in the highlands of Papua New Guinea. Like most little boys, Israel and Laurie like to play, and sometimes they get into mischief. Sometimes Israel ran away from school during recess so he could play with Laurie, and other times the brothers sneaked into the family’s garden looking for some ripe bananas to eat. Sometimes when their parents asked them to bring a bucket of water from the well or scrape the white fleshy fruit from the coconut shells, or anything else they didn’t want to do, they would run away and play. Israel and Laurie liked to go to Sabbath School and sing about Jesus’ love, but sometimes it was hard to understand that obeying Mother and Father was as important as obeying God. When the boys were naughty or disobedient, their parents punished them. The boys would be sorry, but it was hard to remember to obey. One day Israel and Laurie were outside their house playing. They had made pretend trucks and buses from sticks and fruits. They found small round fruits that were hard and pushed a short stick into two fruits to form the wheels and axle. Then they split a longer stick and tied it around the axle. The longer stick became a handle. The boys were having fun pushing the stick trucks around their yard, making truck noises as they ran. When Israel looked up, his eyes grew big also. For he saw an angel standing behind Laurie too. The angel held out his wings, as if protecting Laurie. Israel jumped to his feet and said, “Laurie, there’s an angel behind you, too!” The brothers stood staring at the angels, not daring to move. The angels were smiling at the boys, not frowning or looking sad. The brothers weren’t afraid, but they didn’t speak. They just stared in disbelief at the sight in front of them. Israel and Laurie ran back to the front door, but the shining angels were gone. Just the day’s sunshine lit the family’s front yard. From that day on, Israel and Laurie changed. They used to fight with each other and sometimes say bad words that they heard other people say. But now they don’t say bad words; and if they are tempted to fight with each other, they remember that their angels are watching. Israel and Laurie still sometimes forget to do what their parents ask. But their mother and father have seen a difference in them ever since the day the brothers saw their very own angels. Boys and girls, each one of us has an angel to watch over us and protect us, just as Israel’s and Laurie’s angels do. You may never see your angel, but you can be sure that he is there, because the Bible tells us that “He shall give His angels charge over you, to keep you in all your ways” (Ps. 91:11, NKJV).